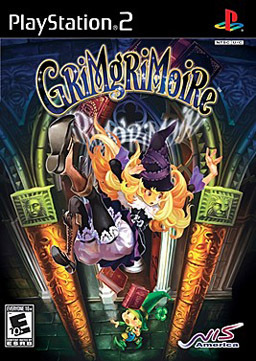 GrimGrimoire is a real-time strategy game released for the Playstation 2 in 2007. The protagonist, Lillet Blan, is a young sorceress who has enrolled in an elite magic educational institution known as the Tower of Silver. After four days of a relatively normal school life, Lillet awakens on the fifth day to discover everyone else is dead. Just before she too is killed, Lillet finds herself waking up again on the fifth day as time has rewound itself. This happens again and again with Lillet retaining her magical progress after each rewind back to the first day. Thus, she must figure out what’s going on and save her school before things take an even darker turn.